CHICAGO (WLS) -- Chicago children will have a new opportunity to enjoy the outdoors. 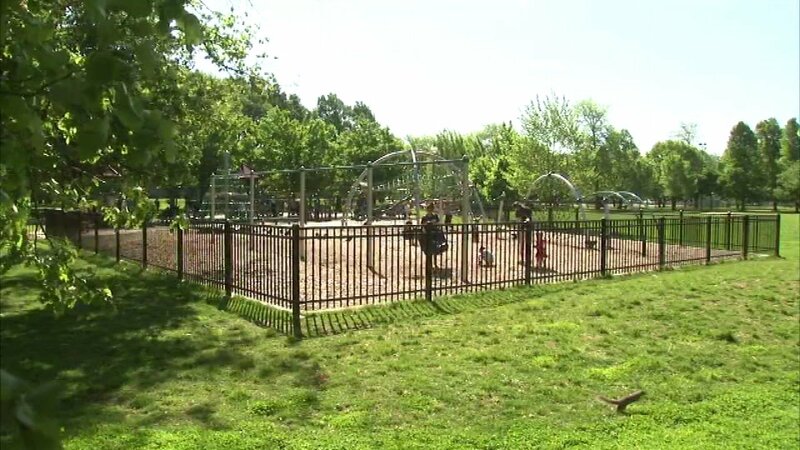 Volunteers will go to Welles Park on the city's North Side to replace an old playground with a new nature play place. This was made possible thanks to a $20,000 grant from the "Meet Me at the Park" campaign. Sixteen parks across the country will benefit from a collaboration between the National Recreation and Park Association and the Walt Disney Company, which is the parent company of ABC7 Eyewitness News. Chicagoans had a chance to vote for one of three park projects to receive the grant. Those projects included the Welles Park Nature Play Space project in the Ravenswood neighborhood, Cornell Square Park Ballfield Amenities proposal in the Back of the Yards neighborhood and the Youth Bike for Big Marsh project in the South Deering neighborhood. Winning projects across the nation included nature play areas, gardens for access to fresh fruits and vegetables and upgraded tennis courts. "Nearly 70,000 people participated in this year's Meet Me at the Park campaign, a record number, demonstrating a tremendous amount of support and enthusiasm for local parks nationwide," said Lori Robertson, NRPA director of conservation. "Many children and families in need will benefit from this campaign, which was made possible by the generosity of The Walt Disney Company. We want to thank them for helping us give back to the communities our members so proudly support."